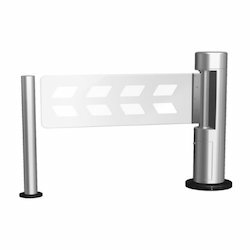 Pioneers in the industry, we offer access barrier, automatic barrier, flap barrier, parking barrier, swing barrier and traffic barrier from India. 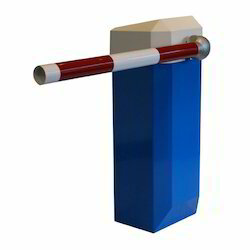 With the help of our skilled and qualified team members, we are manufacturing a wide range of Access Barrier. 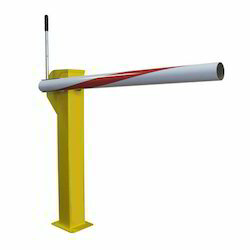 • Used in industrial areas. •Used to control Vehicle entering. • Long-life performance, high operation dependability and fast response. • 24 V DC motorized movement. • Excellent design, attention paid to the construction, quality and durability. • Alarm function, in the case of illegal intrusion and reverse intrusion. • Infrared sensor to prevent pinch pedestrians. • Anti-breakthrough function. The gate is locked automatically until the opening signal received. 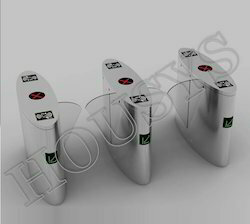 • Anti-trailing function, the Flap Barrier will lock if someone wants to burst in without swiping the RFID card. • Audible sound prompt and information display function. • Anti-illegal in, anti-intrusion, auto close for the reverse direction. 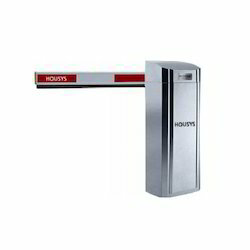 Our competency lies in manufacturing our clients an excellent quality range of Parking Barrier. • Used in all kinds of parking spaces. • RS 485 enabled intelligent controller. • The whole system runs smoothly, long-life performance, high operation dependability and fast response. • Alarm function, in case of illegal intrusion and reverse intrusion. • Anti-breakthrough function. The gate is locked automatically until opening signal received. 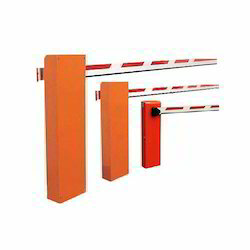 Traffic Barrier incorporates close-protection safety features required for mixed traffic. Uses: • Used to be installed at toll gates. We are offering an excellent quality of Vehicle Barrier. Used to be installed at toll gates. Backed by a diligent and experienced team of professionals, we have been able to supply an excellent range of Tyre Killer Barrier. Used for the purpose of blocking roads.